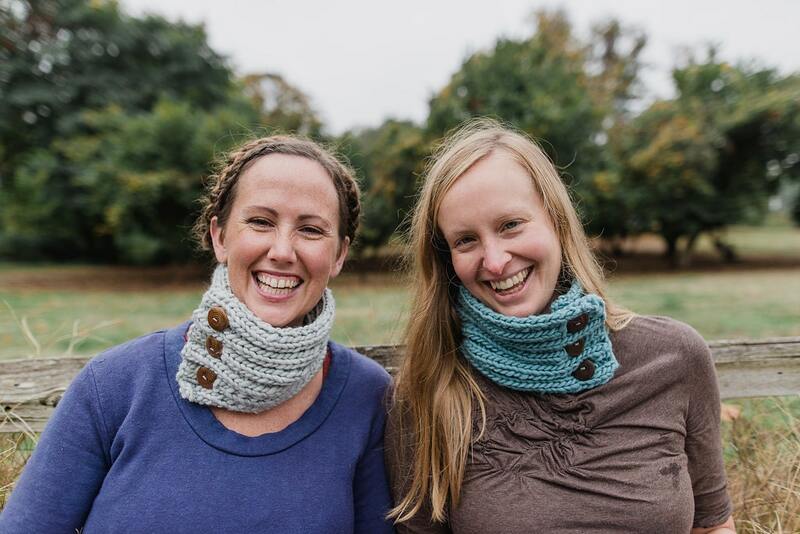 Comfort Cowl : A simple, cozy ribbed cowl. The soft wool against your skin... the warmth wrapped around you on a cold day... to me, this cowl feels like the ultimate in comfort. We hear about comfort food. This is comfort knitting. 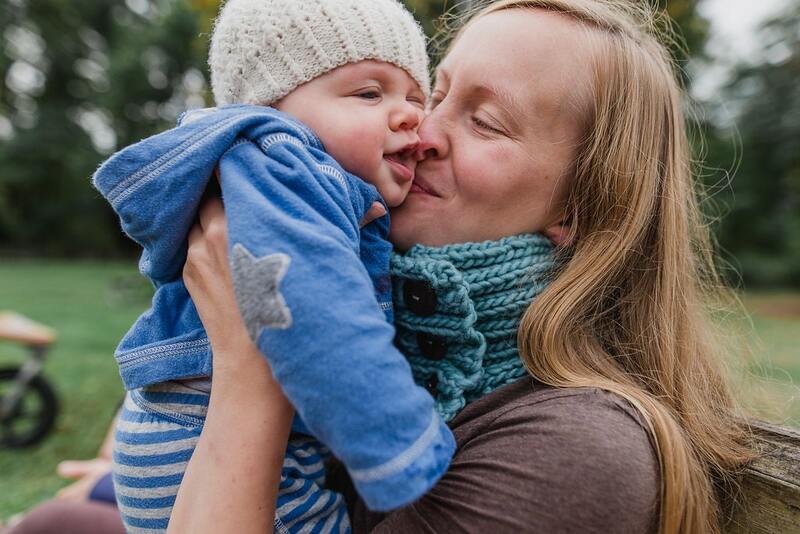 And I think this cowl is the perfect knitted accessory for mamas to wear while they snuggle their little ones (as you can see in these sweet pictures!) This pattern is great for beginners and for everyone who appreciates the satisfaction of a quick project. The buttonholes are optional, so if you are just starting out and want to keep things as simple as possible, you can skip that part altogether. 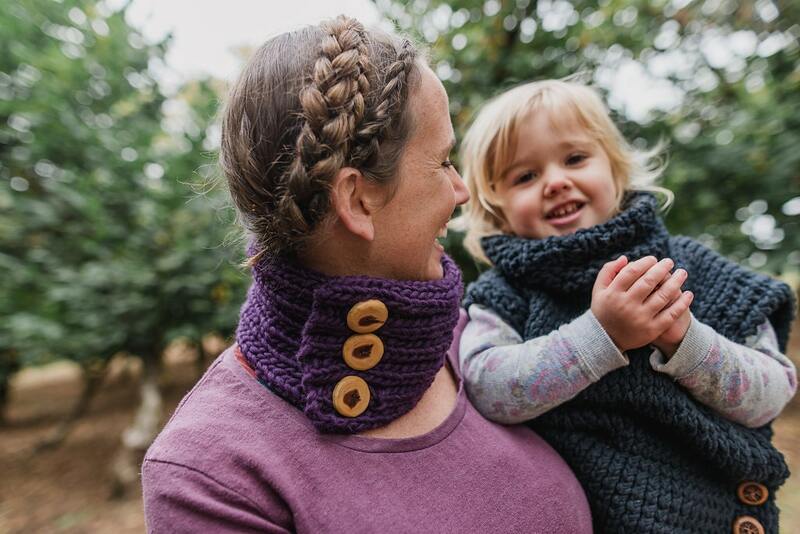 The cowl will stretch so you will be able to pull it over your head, making buttonholes not absolutely necessary. Feeling tired of all those knitting projects you have piled up that seem to take forever to finish? This project is not one of those. 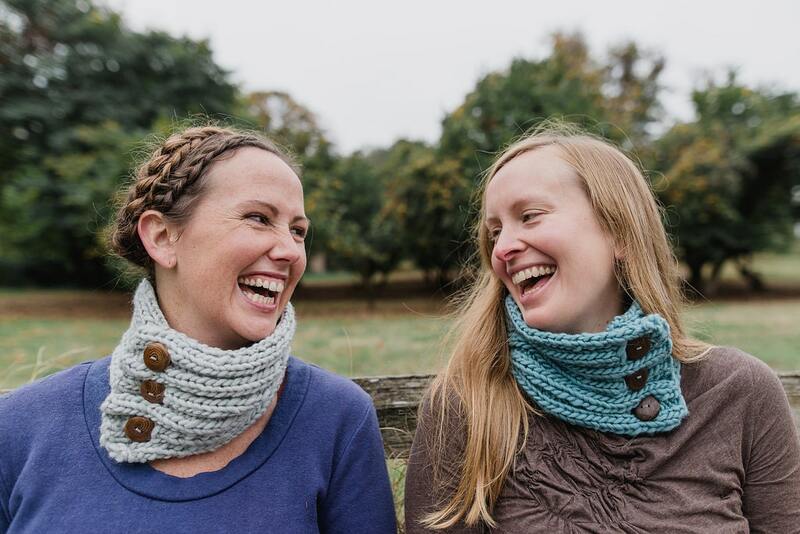 The bulky yarn knits up quickly, giving you a finished cowl in no time. If you need an instant gratification knitting project, this is the pattern for you. Plus it only takes a single skein of yarn! Knit 2, Purl 2 is a rhythm I really enjoy and naturally gravitate towards in my knitting. 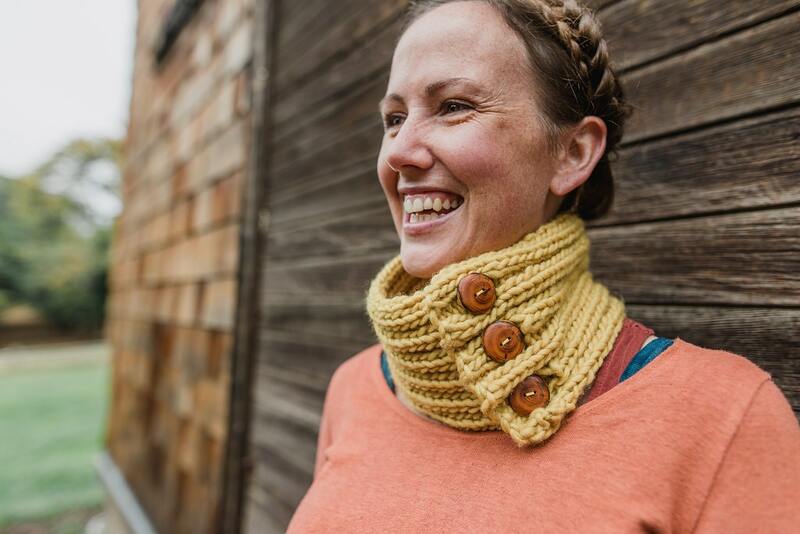 A few awesome buttons can really make the whole cowl. I'm in love with the beautiful wooden buttons in our family's shop here and we're so grateful for your support! -size US 13 knitting needles. -Tapestry needle for weaving in ends.